Borrowers are often surprised to hear that qualifying for a five-year variable-rate mortgage is more difficult than qualifying for a five-year fixed-rate mortgage. After all, if the variable rate is lower, why should qualifying for it be harder? Well, there’s actually a pretty good reason. Today’s post will describe how the Mortgage Qualifying Rate works, explain the rationale behind its implementation, and offer some advice to the powers-that-be on how we can make it better. On April 19, 2010, the federal government announced changes to the Canada Mortgage and Housing Corporation (CMHC) rules for high-ratio mortgage insurance. CMHC is a crown corporation that provides borrower default insurance to lenders when they make mortgage loans with down payments of 20% or less than the value of the property (commonly referred to as high-ratio mortgages). Our Bank Act requires that all chartered banks insure their high-ratio loans, and since CMHC is by far the largest insurer in the market, changes to CMHC’s policies are effectively changes to Canada’s high-ratio insurance market as a whole. One of the changes made last year was to implement a new Mortgage Qualifying Rate (MQR) for high-ratio borrowers who want to finance their mortgage using either variable rates, or fixed rates with terms of less than five years. This was done to ensure that people who borrowed using variable rates could afford future increases to the prime rate, and that people who borrowed using short-term fixed rates could afford higher rates at renewal. It was really a defensive response to the U.S. housing crash, where borrowers who were qualified at ultra-low teaser rates started to default en masse when their teasers expired and they couldn’t afford higher mortgage payments. The MQR was introduced to help us avoid making the same mistake in Canada. 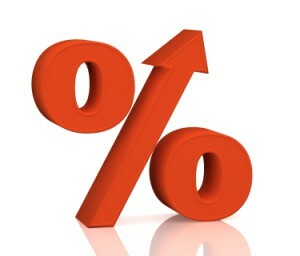 Mortgage Qualifying Rate (MQR) = 5.44%. If you want to borrow at the five-year fixed rate, you must pass the lender’s income tests using a monthly payment based on 3.99% (which using the example above is $1,576). If you want to borrow at the five-year variable rate, you must pass the lender’s income tests using a monthly payment based on 5.44% (which is $1,820) even though your actual monthly payment would be only $1,306 (based on 2.25%). In other words, if you want a variable-rate mortgage you have to prove to the lender that you can afford for variable rates to rise more than 3% over the next five years. 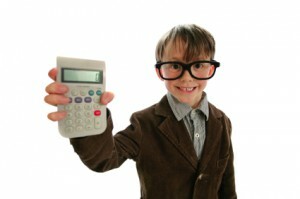 And if you want a fixed-rate mortgage term that is less than five years, the test is the same. You must show that you can qualify using the MQR rate of 5.44%, even though the actual rate you are paying will be lower. While many people saw the wisdom of creating the MQR standard, there was much debate surrounding its implementation. Some felt that basing the MQR on the five-year posted rates of the Big 6 Banks (the Big 5 + National Bank) created a test that was just too onerous. Others, myself included, didn’t like the fact that the big banks were being given de facto control over the setting of this rate and felt that using a spread over a broader, more market-based average would serve as a better proxy. After all, if the banks aren’t actually lending at posted rates, what would it cost them to inch them up over time, thereby limiting the number of people who can opt for less profitable variable-rate and short-term fixed-rate mortgages? Keep in mind that while the MQR test is now the industry standard for high-ratio mortgages, some lenders do not apply it on conventional loan applications (which have down payments of more than 20% of a property’s value). In these cases, the lender will usually qualify variable and short-term fixed-rate applicants using their current five-year fixed rate instead, and this will give borrowers some additional flexibility (a good independent mortgage planner will know which lender does what). On balance, I agree with the principle of using a test that helps ensure borrowers won’t have to default on their loans if rates rise in future. 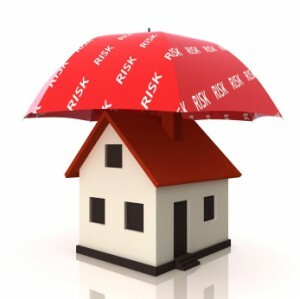 It enhances the integrity of our lending practices and, by association, helps protect the value of our homes.